A reliable online rent payment service offers landlords an easy way to collect rent that saves time in collection and gets you access to your money faster. We reviewed the most popular services available and narrowed it down to the best six best online rent payment services based on pricing, features, and ease of use. Cozy Best overall online rent payment service for landlords who want a free rent collection platform. Avail Landlords with small portfolios who want solid tenant payment options with a comprehensive management system. SparkRental Landlords who want to reduce defaults and evictions with guaranteed rent payment ability. PayYourRent Landlords who want same day rent payment processing and zero holds. TenantCloud Landlords who want a free online rent payment service that works with PayPal or Stripe. Buildium Landlords who want a rent collection service that can handle an unlimited number of units. Online rent payment services providers were evaluated by examining and comparing price, ease of use, customization options, and additional features for landlords. Features that make tenant payments seamless and provide a solid landlord experience were placed in priority, with some mention of other services provided through the platform discussed when available. Price – This includes any purchase or subscription charges, along with fees for service use at various stages of the rental payment transaction. Ease of use – How quickly landlords can implement a rent payment system and how easily tenants can use the system to pay their rent. Methods of payment accepted – All of our providers offer online rent payment ability, and this examines the types of payment accepted, such as credit cards and checking account transfer. Automatic late fee ability – This element highlights whether the landlord has the capacity to schedule an automatic late fee to be added once a payment is overdue. Notification of payment – We reviewed whether the landlord is notified when payments are made. Automatic payment option available – If there is an ability for tenants to schedule automatic withdrawal, thereby helping to make payments more consistent. One-time payment options – Tenants may benefit from one-time payment options for security deposits, late fees, and utility bills, and if they need to pay bi-weekly rather than monthly. 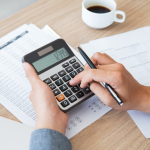 Ability to add utility bills – This option reviews if landlords can add utility bills or other charges to the tenant account for rent collection. Ability to credit tenant – The ability of the landlord to credit a tenant. Often tenants will do minor maintenance for rent reduction, such as shoveling walkways during winter, for example. Additional features – This includes any additional features the platform offers, both in rent collection and in rental management over all. Elements like rental application, applicant screening, maintenance request ability, and others may be mentioned in this area. Based on the criteria above, we believe Cozy to be the best online rent payment service for landlords in 2019. Not only are their offerings comprehensive in every feature area we reviewed, but the cost to landlords is absolutely free. We recommend Cozy as the best online rent payment service for 2019 because of its extensive rent payment features, landlord options, and the fact that it’s totally free to landlords. Cozy offers landlords a robust platform for rental management that, unlike other online rent payment services, costs nothing to use. There is zero cost for landlords to use Cozy, which is unusual among online rent payment services. As a landlord, you only pay fees if you want to get quicker access to your funds. Typical transaction time is two business days for credit cards and five days for checking account payments, but direct payments can be sped up to two days for $2.99 per unit per month. Tenants have a few fees that can happen through the Cozy platform. For example, Cozy will ask potential tenants to pay for their own background and credit reports through the platform, allowing you to technically charge a $0 application fee. Upon becoming a tenant, they will pay a 2.75 percent transaction fee if using a debit or credit card to pay rent, although they can pay directly from their bank account for free. Cozy provides a reliable online rent payment service for landlords who want to allow a variety of payment options. Using Cozy, tenants can pay with Stripe, any credit or debit card, as well as automatically through withdrawals in their specified bank account. If paying by bank account, the platform verifies the account to avoid future difficulties. Automatic late fee availability Yes. Can be set to specific dates to be automatically applied. Notification of payment Landlord can opt to receive an email upon payment. Automatic payment option available Yes. Tenant can choose automatic withdrawal from their account set to a specific date of choice. One time payment options Yes. Allows one time payments for things such as security deposits, utility bills, or additional items separate from rent. Cozy offers a range of features that allow landlords to customize online rent payment, along with many additional features that provide options accommodating various rent structures. With the ability to add utility bills, one-time payment options, and even the ability to credit tenants, Cozy has a platform that meets you where you’re at. Cozy allows for both tenants and landlords to manage transactions well. For example, tenants have a summary page available to see all of their payment information in case they forgot if they made a payment, and they can log in anytime to make a one-time payment for additional items. This could come in handy for one-time security deposit payments, where landlords can even route the payment to a separate bank account than where rent payments are held. Cozy could benefit from processing payments more quickly from bank accounts. Currently, although it takes only two days to process credit card payments, it takes a lengthy five days for bank account payments. This is an issue that Cozy appears to be aware of, and offers a program to mitigate it that comes with a cost. Landlords can pay a $2.99 additional fee per unit per month if they want bank account transfers to be in their account more quickly, but when the baseline service is free, most landlords can float the brief period, and a few days here or there might not be worth the cost for many. Cozy gets rave reviews on most platforms that we’ve seen, and is the most discussed online rent payment service we saw mentioned in landlord forums around the internet. Most users find the platform to be easy to use and easy to navigate, and primary user complaints focus around payment delays as discussed above. Signing up for Cozy is easy and the process is intuitive. While the online rent payment services is the only portion of Cozy reviewed extensively in this article, the software can function as your end-to-end rental management software at absolutely no cost. See the list of features and options available by visiting Cozy today. We recommend Avail as the best online rent payment service for landlords with small portfolios because it has an ideal balance of pricing and options for landlords with up to 15 units. Avail has plans ranging from $0 to $50 per month, sends tenants reminders, and allows payments from tenant bank accounts or credit cards. Avail offers four pricing options depending on your needs, ranging from $0 to $50 per month, with a number of features for rental payment. Unlike other platforms that price per unit, Avail offers fixed pricing for landlords that fall in various ranges. Although pricing for these services can vary, unlike features in their tenant marketing or other areas of the platform, features remain the same across payment levels in the area of payment processing. Avail offers features that make online rent payment services easy to use. With features such as automatic receipts, reminder emails, and payment tracking across tiers of service, Avail creates a platform that helps landlords keep track of their finances as well as their tenants. Notification of payment Landlord can opt to receive notifications upon payment. Automatic payment option available Yes. Tenant can choose the autopay feature that allows automatic withdrawal from their account. One time payment options Yes. Can customize one-time or additional charges like security deposits, utility bills, cable, and more. Ability to add utility bills Yes. Ability to credit tenant Yes. Avail offers a number of feature differences for their varied plans, but the payment processing features remain similar across plans. Fast payment processing will make a difference, so that rather than the typical three-business day waiting period, funds will be available same day. This is far faster than Cozy, which can take five business days for account transfers to become available. Overall, Avail offered many of the features that other services did, but with some personalized touches. For example, the reminder emails that Avail sends to tenants that gives notice of upcoming payments due, and the welcome kits that are available for landlord purchase at $39.99 sets a good first impression. Welcome kits include items like a personalized letter, cleaning supplies, and snacks, and can help out-of-state landlords connect. Avail is a great online rent payment service but is more expensive than other providers and also doesn’t offer tenants the ability to buy renter’s insurance. Although it has fantastic customer support, the fees associated with additional units seem unnecessary for a platform of this size and scope when other free options are available. Offering renter’s insurance would also be advantageous for landlords if they require it of tenants. Renter’s insurance can help protect tenants in case their place of living is damaged by things such as fire or theft, and helps to provide funds to cover housing costs if they need to live in another location because they are unable to stay in that residence due to damage. Users find Avail to be well suited to their needs, with a 4.2 average on a 5-star Facebook rating scale utilizing 38 reviews. Users particularly commented on their appreciation of the solid customer support, which is available 9 a.m. to 5 p.m. EST every day of the week. Criticisms of the payment platform revolve around fees, as discussed above. Signing up for Avail is simple, and the company provides solid customer support availability and helpful representatives. Avail is perfect for landlords with small portfolios who need the management of their rentals as well as the online rent payment service that Avail provides. We recommend SparkRental as the best online rent payment service to reduce default and evictions. In addition to free rent collection through ACH transfers, SparkRental also offers RentDeduct, which deducts rent payments directly from the tenant’s paycheck at a fee of 1.9 percent for each landlord and tenant, guaranteeing rent is paid on time. SparkRental is absolutely free for landlords to use. While there is no sign up or monthly fee to use SparkRental, and all payment types are accepted, there are surcharges on some forms of payment that are outlined below. Fees associated Free. No fees on either landlord or tenant side of transaction. 2.99% surcharge paid by renter. 1.9% surcharge on rent for both landlord and tenant; however, landlord can choose to pay entire fee. While there are no fees associated with joining SparkRental (unlike Cozy, which is absolutely free to use), it does contain fees for some transactions. However, these fees are still less than Avail, which has both a monthly subscription fee as well as a 3.5 percent credit card fee applied to tenants. SparkRental helps you guarantee rent payment, even with employed tenants with difficult credit, by offering RentDeduct. The RentDeduct program helps landlords reduce defaults and evictions by immediately taking rent directly from the paycheck of the tenant so that rent is paid on time and in full every month. Notification of payment Landlord can opt to receive email notifications upon payment. SparkRental is an online rent payment service built around reducing defaults and evictions. For those with properties in areas that traditionally have tenants that struggle with poor credit histories, RentDeduct can be a game changer. While their credit history might be shaky, you can accept tenants with a history of solid employment with confidence. A feature that SparkRental also provides is early alerts of tenant job loss for those who use the RentDeduct program. Should the tenant lose their job, landlords are made aware before the rent is due in order to arrange alternative payments immediately or a move-out plan. No other plan we reviewed was able to do this for landlords. The primary function of SparkRental appears to be allowing landlords the ability to capture one rent payment fully every month and prevent evictions, but did not offer additional features that may have been useful. For example, it did not contain the ability to adjust to the details of unique rental variables, such as charging one-time payments or the ability to add utility bills. Both Cozy and Avail provided options for sharing one-time payments, the ability to add utility bills, and additional property management features. SparkRental is focused exclusively on collecting rent from a sometimes challenging tenant base, and this they seem to do well. SparkRental has solid user experience reported by users through forums, though no formal reviews could be located. Users seem to appreciate the aspect of having tenant rent deducted directly from paychecks, but did find the software limiting in other areas of payment collection and rental management. Landlords can sign up to use SparkRental directly from their website. The company offers a simple signup for both landlord and renter that is straightforward and brief. SparkRental has options that guarantee on-time and full rental payments, and is a perfect option for landlords with tenants in areas that may struggle with solid credit, yet have employment. PayYourRent was selected as the best online rent payment service for fast payment processing because, unlike other providers, they offer free, same-day rent payment processing, which deposits into your account that evening. With zero holds on payments, you receive your payments quickly across all plans available. PayYourRent pricing is competitive with the non-free plans we reviewed, and starts at just $9.95 per month for one to five units. While their ACH transaction fees can be higher, PayYourRent has lower fees for things like credit card payment processing. Overall, PayYourRent offered a solution to rent payment that consistently offered fast processing time. Credit card payment fees 2.75% per credit card payment, can be paid for by landlord or tenant. 2.75% per credit card payment, can be paid for by landlord or tenant. 2.75% per credit card payment, can be paid for by landlord or tenant. PayYourRent offered prices that hovered around competitors offering similar paid services. For example, there is a $2.50 transaction fee for ACH transfers while Avail charges $2.00 on their basic plan, and PayYourRent charges a 2.75 percent fee on credit cards while SparkRental charges 2.99 percent. PayYourRent offers features common to online rent payment services but with reliable speed that many landlords seek. With some ACH transfers taking three to five days, such as Cozy, having same-day processing at a similar price point to other plans is an advantage that helps grow your income. Automatic late fee availability Yes. Set it and forget it. Notifications for tenants before and after automatic payment options occur. Ability to credit tenant No, but they have options to reduce rent for one month. Screening packages that include credit, criminal and eviction checks for $25-$40, paid by applicant. PayYourRent offers fast processing speed and guaranteed security of your payments. Rather than floating your payments to make additional income as some companies do, PayYourRent marks you as the merchant directly, so that they do not ever hold your funds or carry that liability. An outstanding feature of PayYourRent was their customer service caliber and availability. In conducting this review, we were easily able to reach a live person on the phone who was helpful, friendly, and forthright about what the platform offers and what it does not. The customer service representative we spoke with was also a landlord himself, and offered fantastic insights into how he manages his online rent payment service that were very helpful. PayYourRent is a fairly comprehensive service but also charges burdensome ACH transfer fees and offers no way of crediting renters. SparkRental has no ACH transfer fees, and Avail had none at the same subscription plan price point. The ability to credit renters was a feature we found missing entirely. While PayYourRent does allow you to lower rent (essentially offering a credit), this feature is not possible within the system. For example, in a building where you offer referral credits for new accepted tenants, this would have to be done outside of the existing platform. While no formal reviews could be found, we did locate many landlords using PayYourRent who report positive experiences overall. Complaints were primarily around the ACH fees, as expected, but those who used the service reported that it has been easy and able to accept rent payments smoothly. 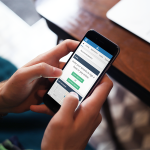 New users can sign up for PayYourRent directly from their website, or contact their customer service number to get started with live assistance. The company offers customer service that is helpful and answers any questions handily, with our experience even talking with a representative who was a landlord himself. We recommend TenantCloud as the best online rent payment service for landlords with existing Stripe or PayPal accounts. TenantCloud integrates these payment tools with a free comprehensive rental management platform that offers reporting tools, tenant reminders, receipts, and more. Landlords with up to 75 units can use TenantCloud and pay no subscription fee. 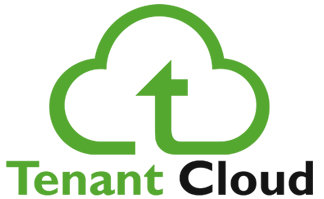 TenantCloud is absolutely free for landlords to use indefinitely, but they do offer pricing plans at $9 and $35 if you have a larger portfolio or want ACH transfer features within the platform. The difference in pricing and features as it relates to rent payment is noted below for review. The pricing of TenantCloud is competitive. While there’s a free basic account that accommodates up to 75 units, ACH transfers aren’t available with free accounts. Avail doesn’t charge ACH transfer fees on paid accounts but does have per unit charges and higher processing fees for tenants. By comparison, Cozy is completely free to use, uses the Stripe platform for payment processing, and has ACH transfer ability at no cost at its free user level. TenantCloud allows renters to easily pay using a method that they are accustomed to, thus increasing collections, and also offers added property management tools like accounting integration that give landlords the ability to generate reports and track expenses. Rather than simply using a stand-alone Stripe or PayPal service, landlords can get the additional benefits at absolutely no cost. TenantCloud hosts a number of features that make it easy for tenants to pay rent while also providing features for landlords that help with taxes and managing their properties effectively. TenantCloud allows landlords to integrate existing PayPal or Stripe accounts into this comprehensive property management software at no cost for up to 75 units. While many landlords discuss using services like PayPal because of ease and familiarity, this platform allows them to do so with a range of benefits such as a full accounting package and on-demand reports for their financials. Benefits like this make TenantCloud far more attractive than simply using PayPal independently. Another benefit is the speed of transfer. While services like PayYourRent offer a lightning-fast ACH transfer, TenantCloud offers almost instant payment speed in their non-ACH transfers by using PayPal or Stripe, where payments are received immediately and the landlord is given notification of their receipt. Lastly, the full accounting and property management features of TenantCloud are very solid and available on all plans. The accounting software includes the ability to input information about rent, utilities, commissions for accounting and run reports at any time. The property management features are second to none, and comparable to software like Avail, with the ability to screen tenants, have them sign online leases, set up maintenance reminders for your properties, and receive maintenance requests along with allowing tenants to purchase renter’s insurance. Avail offers personalized touches like welcome kits, but TenantCloud offers maintenance reminders for landlords that they do not. TenantCloud is missing the ability to provide ACH transfers at the free level of service. While this seems minor, many residents like the ability to set up auto-pay and simply transfer from their account monthly to avoid missed payments. While this feature is available at the paid levels, other free services such as Cozy allow this function. Users give TenantCloud solid reviews, and find the platform easy to use. Users stated that customer service was helpful and responsive to issues and with assistance. The common complaints seem to be entering so much data manually, and in the past the platform had issues of freezing periodically, which seem to have been resolved. TenantCloud can be initiated entirely online or by contacting their customer service number for assistance. Using their website is easy and intuitive, and the process of signup is fast. The company does offer customer support to help you navigate which plan might be right for you. In our experience, representatives were helpful and friendly. We recommend Buildium as the best online rent payment service for large portfolios because pricing is customizable based on your number of units and tenants have multiple ways to pay their rent. For example, Buildium has paired with Pay Near Me to offer retail cash payments for renters that are then transferred to landlord accounts. Buildium is unique in that they structure pricing by how many units you manage or own. If you have a portfolio of properties, you can reach out to Buildium and they’ll price out a monthly plan to accommodate your needs. Here is an example of pricing for online rent payment services for someone operating 40 units. Buildium provides an online rent payment service that can manage an almost unlimited number of units. At the current rates, they provide a lower credit card transaction fee than SparkRental, but the electronic fund transfer rates are higher than TenantCloud or Cozy, which offer free transactions. The features of Buildium allow it to easily accommodate rent payment options that span the scope of possible clients and their needs. Buildium offers pairing with Pay Near Me to offer retail cash payments for renters who may not have credit cards or bank accounts that will transfer to your specified landlord bank account. Automatic late fee availability Yes. Ability to credit tenant Yes, depending on how tenant pays rent. Not available on retail cash payment. Buildium has features that distinguish it from competitors both in their online rent payment service and in the accompanying rental management offerings it provides. Their online rent payment service not only spans a variety of types, which include retail cash payments wired to landlords, but it allows tenants to set both recurring bank withdrawals as well as recurring credit card payments, thereby increasing compliance. No other service we reviewed accepted cash payments at various retail establishments, which can accommodate renters who may not have bank accounts or credit cards. SparkRental was the only service that might also be able to accommodate this population easily with their PayDeduct feature, which allows direct deduction from employment checks to pay rent. Some distinguishing features of overall rental management that would serve large portfolios well was the ability to schedule apartment showings, track renter violations, and the streamlining of rental applications with the ability to accept payments online that accompany them. Although services like TenantCloud allow you to apply and screen online with payments, we did not review another online rent payment service that was able to schedule apartment showings or track rental violations. These are features that would serve larger portfolios well, given that landlords could be organized not only in payments but in the processes that sometimes create ongoing headaches for management. Buildium is a comprehensive rental management system that does have higher fees and subscription charges that others, like Cozy, do not. However, the services it provides are far reaching and well-priced for large portfolio holders. One area we saw for improvement was customer service availability. On two occasions when we attempted to contact Buildium, once in sales and another in service for existing clients, wait times were estimated at 25 minutes or more. Users give Buildium rave reviews for their online rent payment service across the board. On the site Software Advice, they received a 4.5 review of 5, out of 787 reviews. This was typical of comments and reviews we found across the board. Comments reflected owners who felt they received good value for the price they paid, with the only critique being that some found the breadth of services challenging to initially set up, with some doing it in stages finding success. Buildium can be subscribed to online or via phone, and has a four-part series of guided setup videos to help get you started. In the setup, they guide you through how to add all of your units, tenants, leases, and properties to the platform. You can also add platforms for employees as well, and assign permissions to those at various levels of your business. We’ve reviewed the six best online rent payment service providers that can meet the needs of landlords at various levels of portfolio development and with a variety of clientele. In selecting your own system for online rent payment, we encourage you to read through the price points and additional services many of these businesses offer. For an absolutely free rent payment service for landlords, check out Cozy. Well regarded within the rental community, easy to use, and able to accept bank, credit and debit card payments, Cozy provides a robust range of other rental management features at zero cost to you.